Friendster. I just visited my account. Although I haven't opened it for quite sometime now, Friendster still is a home for my old friends. And why should I not delete the account? 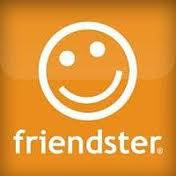 Friendster opened myself to blogging. I started my first blog at FS. So, thanks to you. I just miss you. You once were the apple of my eye. waaaaaaaaaaaaa...it's been decades since I visited FS...heehehe!